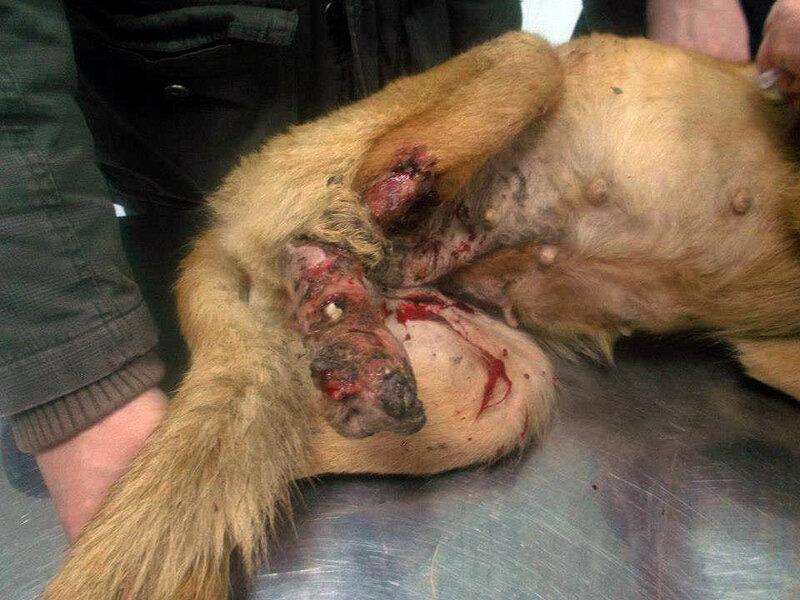 Last night we were contacted about a tortured dog in Vlakovo, a small village north-west of Sarajevo. Someone had tied a wire around the dog’s neck and leg. When we arrived, we found a sad little female dog, weighing only around 10kg when she should weigh at least three times this much. She was clearly frightened, afraid of her own shadow. A sharp wire was deeply embedded in her neck and leg. We don’t know how long she has howled, how long she’s been suffering like this. A long time. 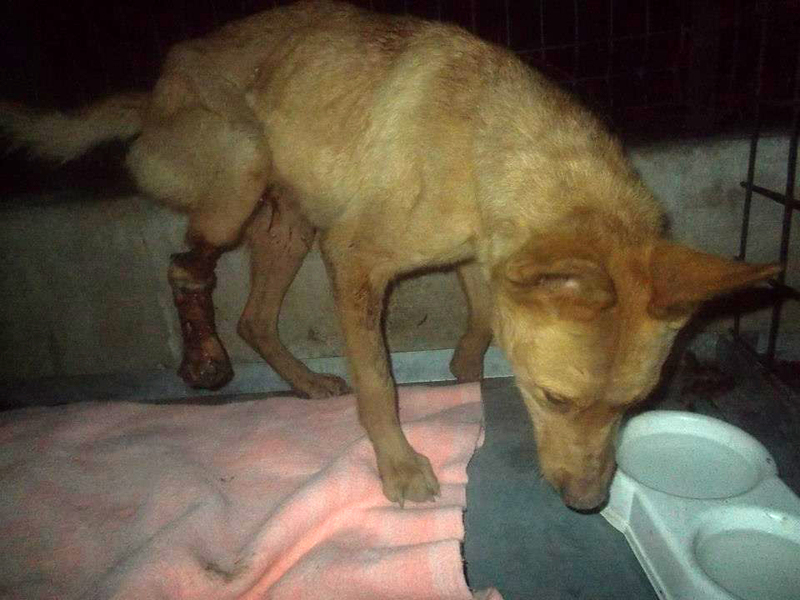 Her leg is completely atrophied, has developed sepsis and is deformed, with all the skin peeled back… a living horror. We caught her by using a low dose sedative, it was the only way as she was so terrified and would not let anyone close. 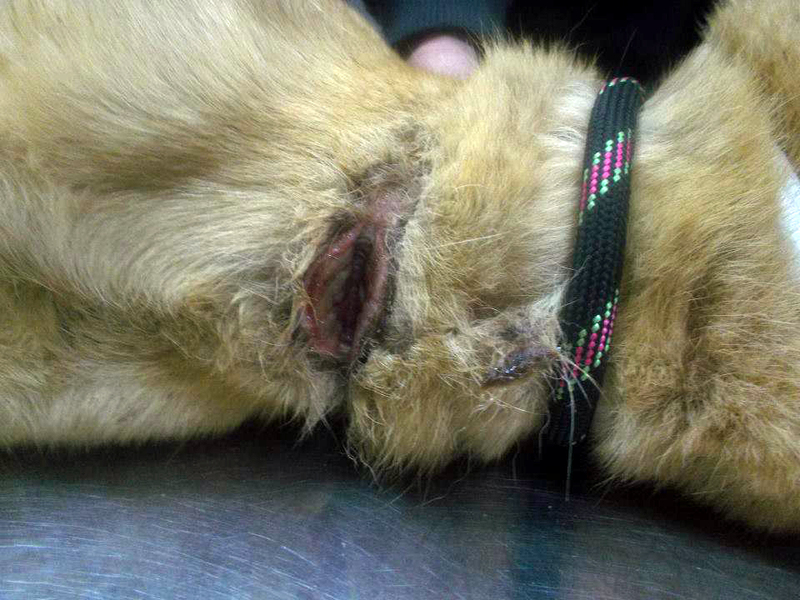 We took her straight to a vet, and under the bright light on the vet’s table the poor dog’s horror was even worse. We couldn’t believe how far human malice and evil can go, how much people will take out their anger on animals…. The photos will tell you a whole lot more. 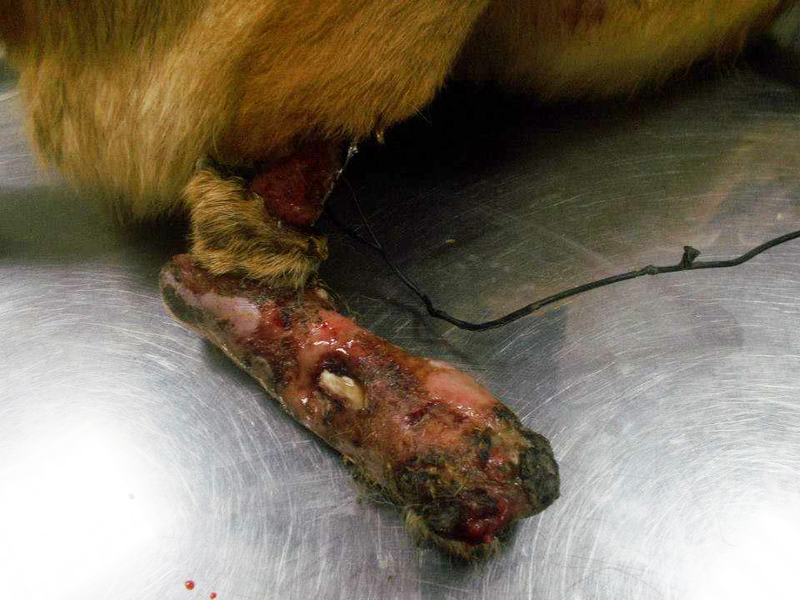 According to the vet, this was done on purpose, the wire was so tightly embedded into the neck and leg that she couldn’t put her leg down, it just dangled in the air…. only she and the monster who did this to her know how long she’s been like this. 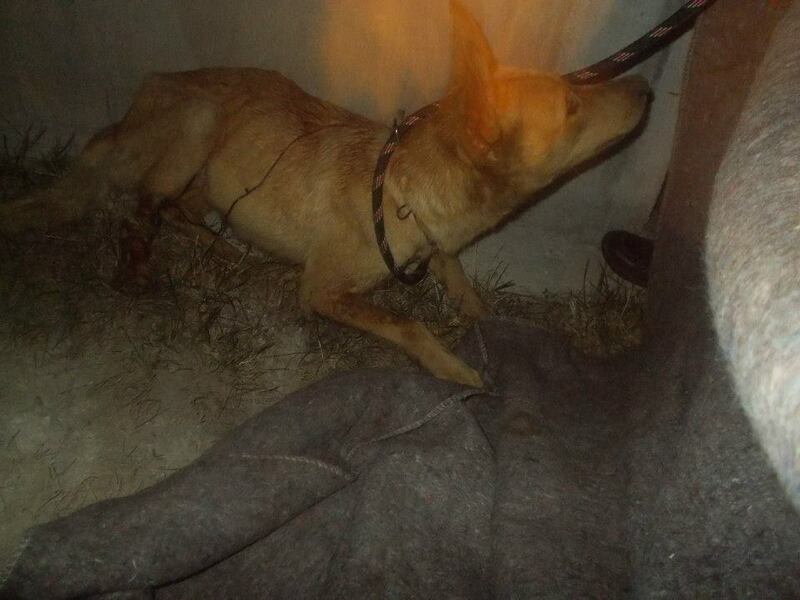 Because of the injuries to the neck caused by the embedded wire, it’s possible she’ll never be able to bark again, she’ll never be able to let her voice be heard again… Her pain is immense. The vet said the leg must be amputated, and that her chances of survival are good. But if it is possible for her to ever trust people again, we don’t know. We need help to cover vet costs and her after care, and one day, when she is healed we must find her a very special home. Our little fighter is a bit better today, the vet says chances are she will survive. Her leg needs to be amputated, it wasn’t done today because she was on a drip and received vitamins, we bought her sausage and yoghurt to eat. She is a real fighter and we really hope she will survive the amputation tomorrow. The vets don’t think she should be put down, they want to save this tormented soul and give her the chance to experience a bit of human warmth, kindness and love.